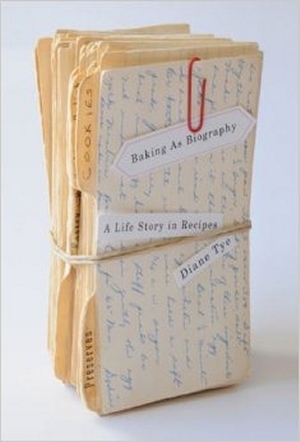 If you ask most people, their best-loved books about food are probably cookbooks. They likely don’t actually cook from these tomes but rather consider them light entertainment, to be read in bed, provoking dreams of meals they’ll probably never prepare. As someone who spends most of the day reading and writing about food, books have to have a unique point of view or subject matter to catch my interest, and especially to earn a permanent spot on my shelf. These are a few of my favourites, chosen mostly for their diversity in demonstrating different styles of food, cooking and eating. 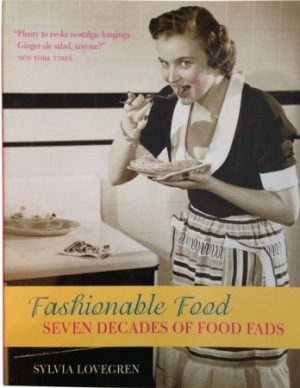 There are no celebrity names here, no flashy TV shows to help sell these titles, and no well known food writing personalities, but I think they cover an interesting cross-section of food writing and food history. What if the person whose cooking you most admire actually hates to cook? Diane Tye relates the story of growing up as the daughter of a minister in 1970s New Brunswick. Her mother, responsible for preparing food for weekly church functions, drew on recipes from various sources depending on who she was cooking for. Tye’s narration is sometimes clinical, observing food trends as they related to social norms, and sometimes familial and romanticized as she discusses her mother cooking dishes for the family. The book is often uneven as Tye relies too much on interviews with family members as opposed to either strict analysis or her own personal memories, but it’s such a vividly accurate picture of foodways in Atlantic Canada that it is one of my favourite food books. Food had been adulterated for centuries. Items like coffee, tea and candy were intentionally tainted to stretch out quantities and garner a bigger profit. Swindled deals with this intentional deceit starting in the mid 1700s, touching on basics like bread, meat and milk. Wine and beer were often tainted or stretched as well, and the book looks at the effort to enforce standards and charge criminals in all areas of food sales and production. Wilson also moves into the 20th century and examines ersatz foods (fakes or imitations intended to replace the real thing during wartime), as well as products like margarine. She also touches on current issues such as adulterated basmati rice in India and the fiasco of Nestle’s baby formula scam in Africa. It’s wise to note that the habit of greedy food producers intentionally tainting foodstuffs – or not properly inspecting machinery or equipment – has never gone away. The historical stuff is surprising in what people would do to make a buck, but is no more frightening than what many producers are still doing today. Most immigrants to New York City in the late 1800s ended up, for a while at least, living on the lower east side in the tenement slums. 97 Orchard, now the New York City Tenement Museum, was home to many of them (7000 in 70 years). 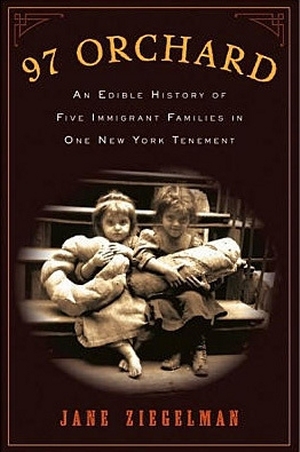 Ziegelman’s book tells the stories of five immigrant families (Irish, Italian, German and Eastern European Jews) and traces the various waves of immigrants and how their foodways influenced cuisine, from the famous pushcarts on the streets, selling everything needed for a meal, from a single egg to barrels of picked herring, to the adaptation of more ethnic-friendly menus at Ellis Island. She looks at how families adapted recipes when unable to find correct ingredients and the lasting effect of these immigrants on the food scene in New York City in modern times. Canadians of a certain age will undoubtedly remember Eaton’s, the department store chain that spanned the country and that shut down in the early 90s. Eaton’s not only sold food back in the day, but made most of it in-house, from the sandwiches at the lunch counter to the butter on the bread. 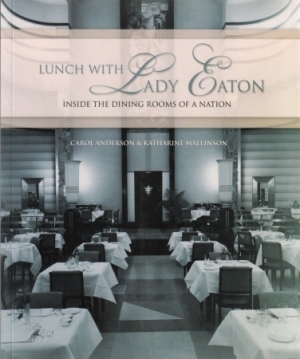 Lunch With Lady Eaton tracks the influence of Flora Eaton (she married into the Eaton dynasty) on the expansion of restaurants and food offerings within the chain, particularly the high-end dining rooms in the flagship stores. While Eaton’s the store is long gone, the gorgeous art deco building on Toronto’s Yonge Street still exists and the dining room was restored to its former glory a few years ago (complete with Lalique fountain!) and is now an event space called The Carlu. The best part about the current hipster food trend, whether it’s tacos or “bone broth”, is that it eventually will go away. In the same way that we no longer immerse everything in jelly moulds, make ersatz versions of real food because of wartime rationing, or think “Eye-talian” food to be exotic, the current trends are, thankfully, fads that will fade from popularity. In Fashionable Food, Sylvia Lovegren documents the changes in food, moving through the decades from one wacky dish to another. She includes recipes (ooh, Nippy Cheese Ball! ), menus, and a fun selection of pictures, including some truly horrifying 50s-era food photos. From the fascination with salad in the 1920s to the Californian cuisine of the 1980s, Lovegren covers all the things people were eating – and why. This post originally appeared on Vermicious, a totally cool alternative culture blog curated by the awesome John Seven.